This porcupine meatballs recipe is a big favorite of many families, and so easy to make. This version is made with tomatoes, tomato sauce, and condensed cream of mushroom soup. 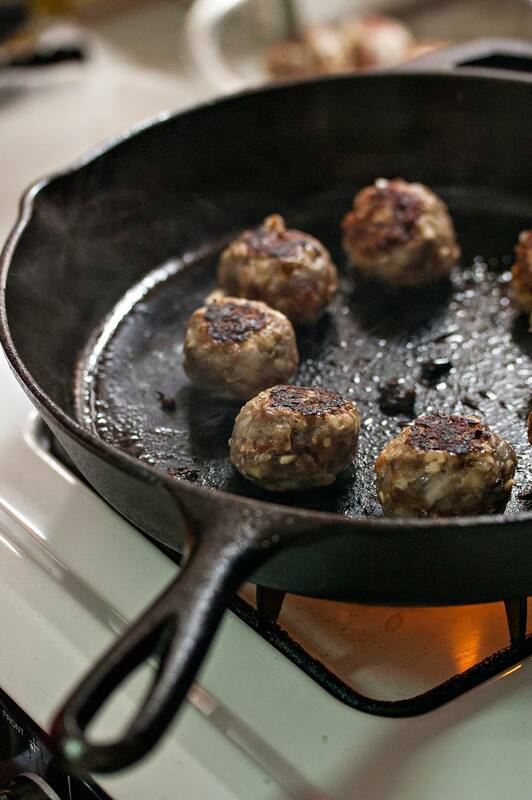 Serve porcupine meatballs with rice or potatoes for a tasty everyday meal. In a large bowl, combine the ground beef, onion and rice. Add salt, pepper and garlic powder. Mix well. Heat the oil in a large skillet over medium heat. Add the meatballs and cook until browned on all sides. In a medium saucepan, combine the tomatoes, tomato sauce, chopped green bell pepper, and cream of mushroom soup. Bring to a boil; reduce heat and simmer for 5 minutes. Pour tomato sauce over porcupine meatballs in oven-safe skillet and then bake at 350 F for 45 minutes to 1 hour or until meatballs are cooked through and sauce is thick.